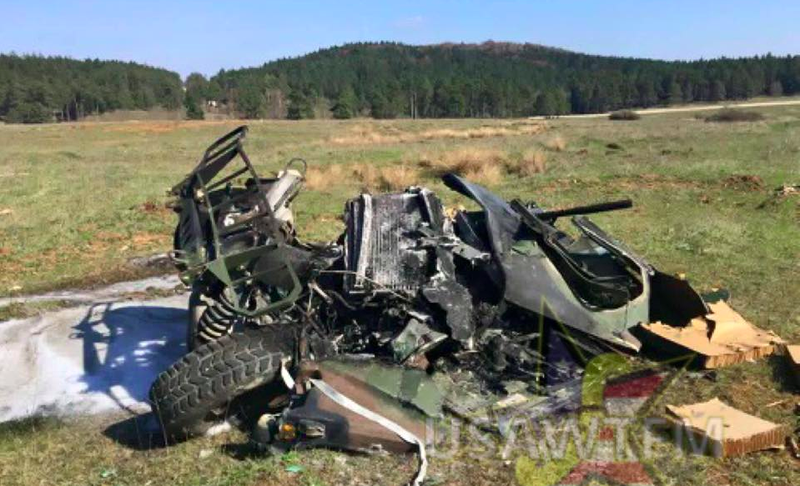 During an airdrop on a military base in Hohenfels, Germany, three HMMWV’s somehow detached from their parachutes and crashed into a million pieces, The Tactical Air Network reports. The reaction from the soldiers filming, though, is absolutely priceless. “The 173rd Airborne Brigade forgot how to Airborne” says U.S. Army WTF Moments, the site that posted the video below showing three HMMWVs fall to the earth after a failed airdrop. Hohenfels Germany is home to the U.S. Army’s Joint Multinational Readiness Center, referred to by soldiers as “The Box.” The Box is a huge 40,000 acre facility where U.S. and allied soldiers conduct large maneuver tank battles, airborn jumps and various other exercises. It’s a cold and muddy place, and also the place where my dad got his HMMWV stuck while trying to show off on “take your kid to work” day. To airdrop a Humvee, the vehicles are loaded onto metal pallets, sometimes with the use of a crane. Three G-11B parachutes (with a diameter of 100 ft apiece, and a weight of 275 lbs altogether) are strapped to the Humvees, while honeycombed pads and pieces of lightweight wood are stacked underneath the vehicles to absorb the shock of a normal landing. When in the air, the loadmaster will open the C-130’s rear cargo door when pilots slow down the aircraft to approximately 160 mph, releasing a smaller drogue chute attached to the vehicle pallet. The drag of the drogue chute yanks the Humvee out of the aircraft and into the sky, its G-11Bs deploying soon afterwards for a presumably comfortable float down to Earth. The Tactical Air Network continues by talking about what might have gone wrong, saying “improper rigging, or high winds... would have had the effect of disturbing the drop,” and that they believe, based on the vehicles’ descent patterns, that the former was likely the culprit. Whatever the root cause, you can bet someone’s going to get chewed out for this one. I’ve got a request to the Hohenfels Public Affairs Officer to learn more about the incident, and will update this post accordingly.